What Eats a Barn Swallow? 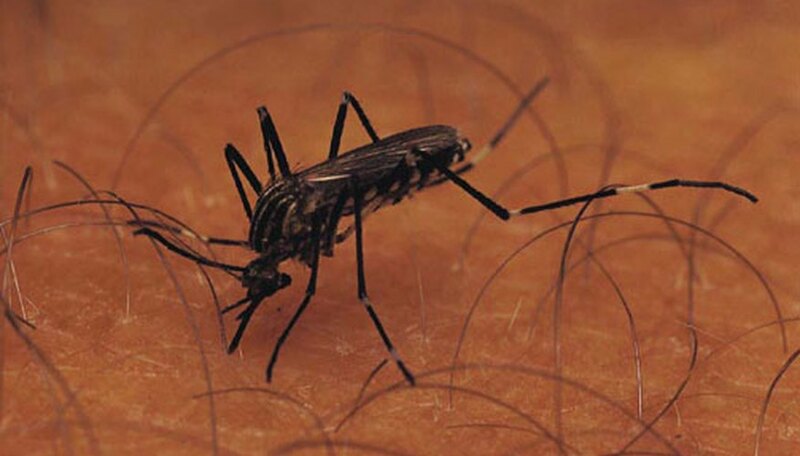 Mosquitoes, to put it bluntly and perhaps mildly, are no more than pests to humans, with their characteristic springtime and summertime bites causing pain, itching and swelling in most people. Some animals turn the tables on these annoying insects and make mosquitoes part of their own diet; although the idea of using these mosquito predators as pest-control agents is appealing, in reality, they rarely help control mosquito population numbers to any significant extent. Insects that eat mosquitoes include dragonflies and their lesser-known cousins, damselflies. 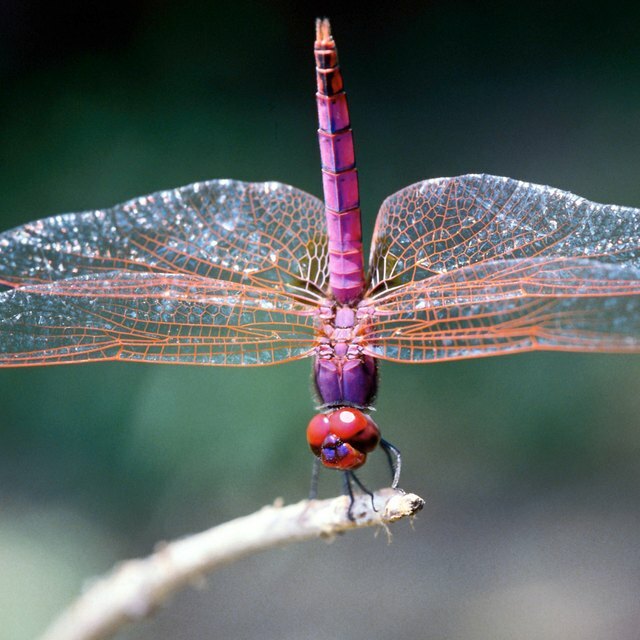 Dragonflies tend to feed during the day, when mosquitoes, which are most active at night, are for the most part concealed in nearby underbrush. As a result, the mosquito intake by adult dragonflies is lower than optimal. Fortunately (for mosquito-haters), dragonfly larvae actually feed on mosquito larvae when they can, to the extent that dragonflies do most of their predatory damage to mosquitoes before either insect is even close to mature. Mosquitoes develop under water from eggs to larvae to pupae. To breathe, the larvae suspend themselves at the surface of the water with a breathing tube or siphon. Here they are vulnerable to other surface dwelling mosquito predators like whirligig beetles (Gyrinidae) and water striders (Gerridae). Birds that eat mosquitoes include the purple martin, swallows, geese, terns, ducks and migratory songbirds. Usually, these predators eat mosquitoes at both the adult and aquatic (larval) stages. Purple martins are probably the birds most famed for dining on mosquitoes, with various erroneous Internet claims placing their consumption at levels many times higher than it actually is. In reality, no more than 3 percent of their diet likely consists of mosquitoes. Bats are mammals that eat mosquitoes. Their echolocation-driven means of hunting down, trapping and eating their prey makes other insects easy targets for bats to catch. While bats may catch many different nocturnal insects, their affinity for mosquitoes is undeniable. A recent study at the University of Wisconsin found mosquito evidence in the guano (feces) of over 70 percent of the wild bats studied, suggesting that bats in their natural habitat eat far more mosquitoes than previously thought. Yes, even fish get in on the mosquito-predator act. Clearly, this is limited to the mosquito's larval stage, which takes place in fresh water. Goldfish, guppies, bass, bluegill and catfish all prey on mosquito larvae to some extent. The champion mosquito-eating fish, however, is Gambusia affini, the so-called "mosquito fish." This may be the only animal that is effective when put to purposeful use as a mosquito-control agent. They are born in broods of several hundred, and a single young mosquito fish can consume anywhere from close to half its body weight to over one and a half times its body weight in food per day, a significant fraction of this consisting of mosquito larvae. One type of turtle, the red-eared slider, has been used to some effect to control mosquito larvae populations in Honduras. Tadpoles and adult frogs are reported by some sources to eat a lot of mosquitoes and their larvae, but in truth, only the spade foot toad, green tree frog and giant tree frog do this in significant numbers. We may not be able to depend on other animals to rid us of these pesky insects but mosquitoes are nonetheless food for a variety of creatures. Beck, Kevin. "What Eats Mosquitoes?" Sciencing, https://sciencing.com/eats-mosquitoes-8568515.html. 12 October 2018.